Address: Room DE610, Department of Electronic and Information Engineering, Hong Kong Polytechnic University, Hung Hom, Kowloon, Hong Kong. Yuk-Hee Chan received his BSc degree with honors in electronics from Chinese University of Hong Kong in 1987, and his PhD degree in signal processing from Hong Kong Polytechnic University in 1992. Between 1987 and 1989, he worked as an R&D engineer at Elec & Eltek Group, Hong Kong. He joined this University in 1992 and is now an Associate Professor in the Department of Electronic & Information Engineering. Dr. Chan has published over 150 research papers in various international journals and conferences. 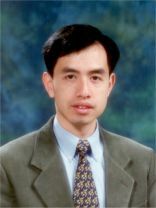 His research interests include image and video compression, image restoration, and fast computational algorithms in DSP. Dr. Chan is a member of IEEE. He obtained the Sir Edward Youde Memorial fellowship in 1991 and 1992. Dr. Chan was the Chair of IEEE Hong Kong Section in 2015 and is the Treasurer of Asia-Pacific Signal and Information Processing Association (APSIPA) Headquarters.